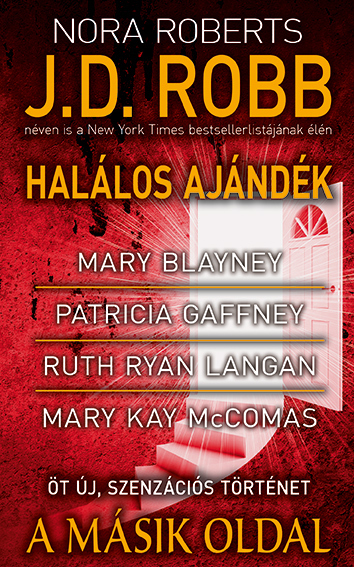 J. D. ROBB: Halálos ajándék – Eve Dallas hadnagy mindig is a holtak igazságát keresi, de most az egyik akar bosszút állni – méghozzá Eve-en keresztül. Mert mint a halál, olyan erős a szerelem. Honnan, mi faj vagy, átkozott alak? 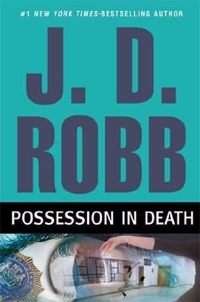 Immediately after hearing these words, uttered to her by an old Romanian woman bleeding to death in the street, detective Eve Dallas begins to notice that her latest case has come with a number of interesting side-effects: visions of the deceased, instant familiarity with rooms she's never seen before, and fluency in Russian. Likewise, there appears to be a force inside of her, a spirit other than her own, that won't let her rest until she's found Beata, the old woman's great-granddaughter, whose disappearance two months prior remains a mystery. Desperate to be free of her new 'gifts' , Eve pursues the facts until she discovers a link between Beata's disappearance and the disappearance of eight other young women, all of whom attended the same dance classes, none of whom were ever heard from again.